Stephen Rogata was charged with reckless endangerment and trespassing after climbing Trump Tower over the summer. He made it to the 21st floor before NYPD officers grabbed him. 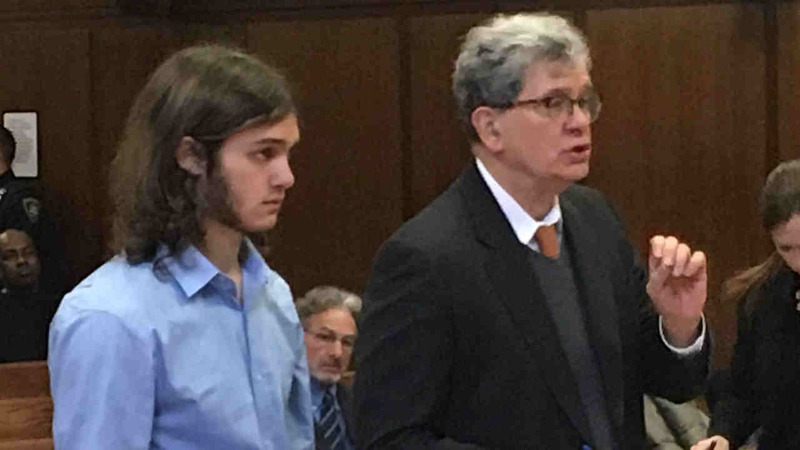 NEW YORK (WABC) -- The man who scaled the side of Trump Tower with suction cups over the summer was back in court Tuesday. Stephen Rogata did not speak in his appearance, but his defense lawyer, Paul Shechtman, requested more time to prepare the case. The judge, who has already given the defense several months, set a trial date for February. Rogata is charged with reckless endangerment and trespassing after climbing the building. The Virginia man made it to the 21st floor before New York City Police Department officers grabbed him and pulled him through a cut-out window. Watch as the NYPD pulls the Trump Tower climber into the building. Rogata was accompanied by his father. Neither spoke outside court and Shechtman refused comment. Rogata is living with his parents in Virginia, in a suburb of Washington, D.C. He is attending a local community college. He was in court in November, but his case was pushed back because of a new defense attorney.